The Old Toddler Café: same great ideas, fun new name! I realized recently that I know a lot of amazing people who create things like books and products and experiences. I want to share of the amazing things they have created with you. When I put the call out for my colleagues and friends to remind me what they have been doing I was flooded with ideas for my Local-ish Holiday Gift Guide but I couldn’t add every item so if you have an amazing friend who makes cool food related stuff please add them in the comments below. I believe in sharing the love! Of course a few of these goodies come from me and my husband and our crazy projects! Pretty Little Baking Kit Jennifer Carden Author / Matthew Carden Photography – My latest project this adorable kit of petite cakes to make and give. 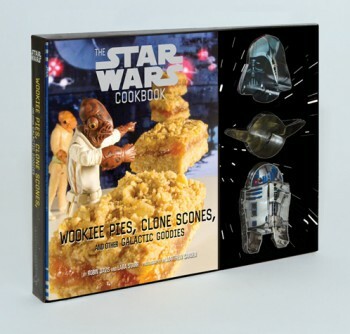 Wookiee Pies, Clone Scones and other Galactic Goodies Comes with Yoda, Darth Vader, and R2-D2–shaped cookie cutters to create 30 sweet and savory treats! 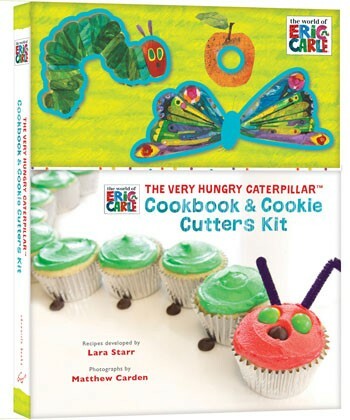 Featuring Eric Carle’s The Very Hungry Caterpillar™, this cookbook contains 25 delicious recipes as well as 3 shaped cookie cutters: the beloved caterpillar, a circle for the caterpillar to crawl through, and the beautiful butterfly. 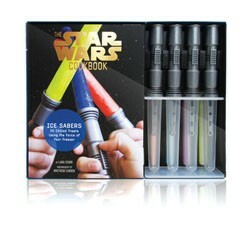 Recipes range from breakfast and snacks to beverages and sweets. 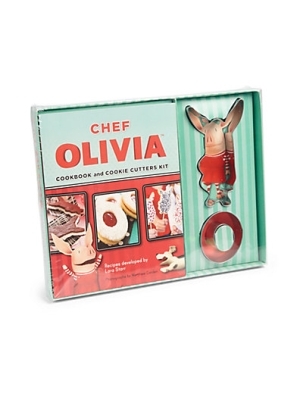 Perfect for everyday fun as well as book-themed parties, very hungry kids will rejoice in cooking and eating as well as immersing themselves in the world of their favorite characters. World of Doughnuts by Stephanie Rosenbaum Who doesn’t love a doughnut? With 50 mouth-wateringly delicious recipes from around the globe, these sweet treats are universally loved no matter where you go. Whoopie Pies Amy Treadwell s it a cake? Is it a cookie? With such deliciously soft and sweet cream-filled snacks, does it matter? The Internet is abuzz with recipes and stories of whoopie pie folklore, while customers everywhere are descending on bakeries in droves demanding these delectable treats. Sodium Girl Cookbook Jessica Goldman Foung – Hilariously funny gal who can teach you how to eliminate salt from your diet. West Marin Food and Farm Tours with Elizabeth Anne Hill see what is amazing right around the corner. Heidrun Meadery in Point Reyes for a glass of Mead! Teeny Cake Seriously the best cupcakes around Marin. Trek Winery began as a family owned and operated winery in 2007 after years experience in the wine business and amateur winemaking. Opening its first public tasting room in September 2012 in Downtown Novato, Trek Winery has become a premier venue for live entertainment including professional stand up comedy and live music, as well as a venue for private gatherings, weddings, and other large events. As Trek continues to serve the greater Marin community by making excellent wine at an affordable price, we invite you to take the first step and experience the adventure that is Trek Wine! Orion’s Kitchen A caterer for your next party, Orion’s Kitchen offers a wide range of personalized culinary services including event catering, one-on-one or group instruction, and an on-demand market place. Fantastic Food Jewelery by Carrie Tilly at our Square shop! The Warm Kitchen Cookbook Amy Benigno Fothergill Amy’s book is a fantastic guide for Gluten free goodies of all kinds! Natures Habit Granola Matthew Carden and Jennifer Carden produced the labels and recipes for this yummy snack. Hive Napa Julia Scanell Hive Napa is a passionate creative/culinary resource to the food and wine industry, offering savvy, appropriate packaging design; honest, down-to-earth recipe development; and inspired cookbook design solutions. Barn Raiser Eileen Gorden – From healthy and artisanal foods to community kitchens and organic farms, when we put our collective support behind these innovators, we create a healthy food future for us all. Crowd funding for the food world! Melt the Art of Macaroni and Cheese Melt isn’t your average mac and cheese cookbook. I’m cooking withreal cheeses here, combining nostalgia of the old-school dish with high-quality ingredients to produce recipes that are both classic and chic. In Melt, you’ll find dishes that comfort and intrigue. The Veggie Queen Author, Chef Jill Nussinow is a cookbook author and Pressure cooker expert! Parini’s Chocolate Cakes These gluten-free cakes are truly flourless and loved by all, even those who are free to eat gluten. They are made from four locally sourced, organic ingredients (chocolate, butter, eggs and cream) and contain no added sugar. Flavors: Chocolate, White Chocolate, Chocolate Espresso, Chocolate Peppermint and White Chocolate Peppermint. Sizes: 9-inch ($45), 6-inch ($25) and Minis (sold by the dozen for $30). Artisan Bread at Home for Real! !